Here at Furless we recommend cleaning our makeup brushes with warm soapy water, or with a little bit of shampoo. Rinse thoroughly, reshape the hair, then either lay flat on a towel to dry, or hang them upside down on a brush tree so the water drains away from the ferrule. When washing your brushes, try not to get water inside the brush (inside the metal ferrule) as this will loosen the glue, and eventually your brush head will fall off. Keeping moisture out of the brush will also ensure your brushes remain free from harmful pathogens. Submerging the entire brush under water is a big no no, and will lead to cracked handles, and loose heads. Wetting the hair only is the best way to make sure your brushes last the distance. Some types of organic cleaners will remove the logo printing from the handles, so try to restrict product to the hair only. Essential oils are notorious for damaging the bristles on your brushes, as well as compromising the integrity of your brush handle. Avoid soaps, shampoos and cleansers that contain oils and extracts from plants to keep your brushes in fine form! Sunlight is a great killer of germs, though it is also effective at fading paint, melting glue, and cracking the paint on handles. Allowing your brushes to dry in the sun during the winter is fine for a few minutes only, though you should place a towel or something similar over the handles and ferrules to block the sun, exposing the hair only, ensuring the paint stays true to its original colour for longer. Excessive heat will melt the glue that attaches the ferrule to the handle, and laying your brushes in the sun or in front of a heater to dry will make the handles crack. If you are using your brushes on yourself, we advise to wash them at least once a week. 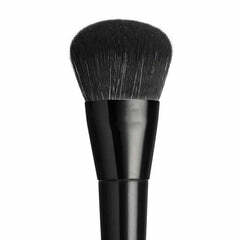 If you are a professional makeup artist, your brushes need to be cleaned and sterilised after each use.